I’m sure most of you know about Juan Alderete’s Pedals and Effects blog, but just in case you don’t, this is a great time to get acquainted. Mr. Alderete has been playing music since the mid-eighties, helping to form bands such as Racer X, the Scream, Pet, Big Sir and others. Throughout his career he’s played with amazing musicians and immersed himself in pedals and effects of all kinds. His blog is just a means to feed his addiction to stomp boxes and for that we all benefit. Yesterday, he released his top ten list of pedals from 2014 and it’s a great diverse mix. 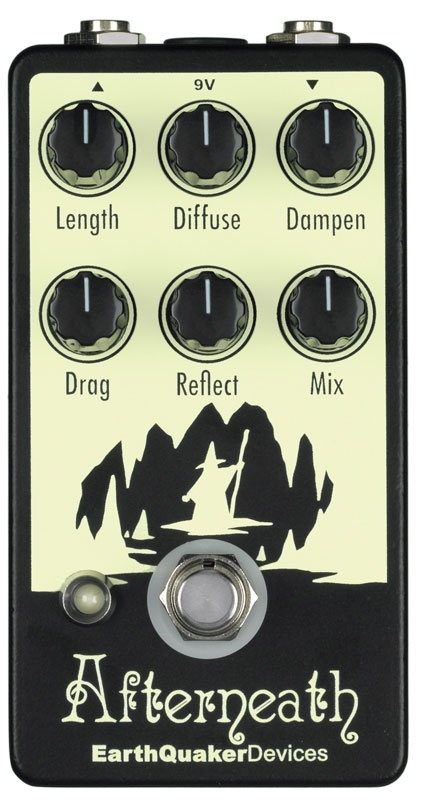 It was interesting to see that the EarthQuaker Devices Afterneath made his top ten list, since this pedal made Sonic States top 5 list as well. We’ve heard good things about this pedal all year, but being included on the first of the top 2014 lists to come out means it’s time to get serious and take a closer look at this pedal. Like we said, this is just the list he laid out. He has links to reviews as well as explanations as to why he likes these pedals so much. So check it out. But, before you do, if you own any of these pedals already – please – take the time to stop by Pedal Finder to leave a review for the benefit of others and get yourself entered into our giveaways!